Did you know that you can save money when shopping online? I'm sure you might have your various websites you like to frequent but the latest one to offer coupons and deals to your favorite online shopping sites is Groupon! 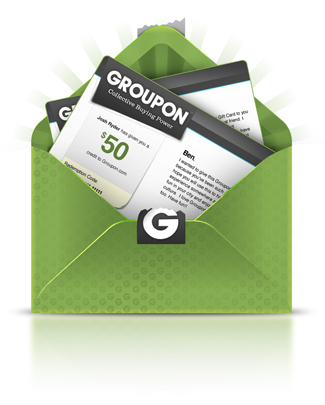 Groupon offers coupon codes and deals right from their familiar groupon.com interface. I know I'm going to add it to my repertoire of sites to check before I go shopping on various sites online. I recently purchased something from amazon.com and even found a code to save $10 just for signing in to the amazon app with prime. NOTE: We are part of USFamilyGuide.com Blogger Network. Compensation was provided in exchange for this post. There are many advantages of online shopping; this is the reason why online stores are a booming business today. You can get various offers and discount on online shopping. Find Best nearby Deals Apps from skoutdeals.com.